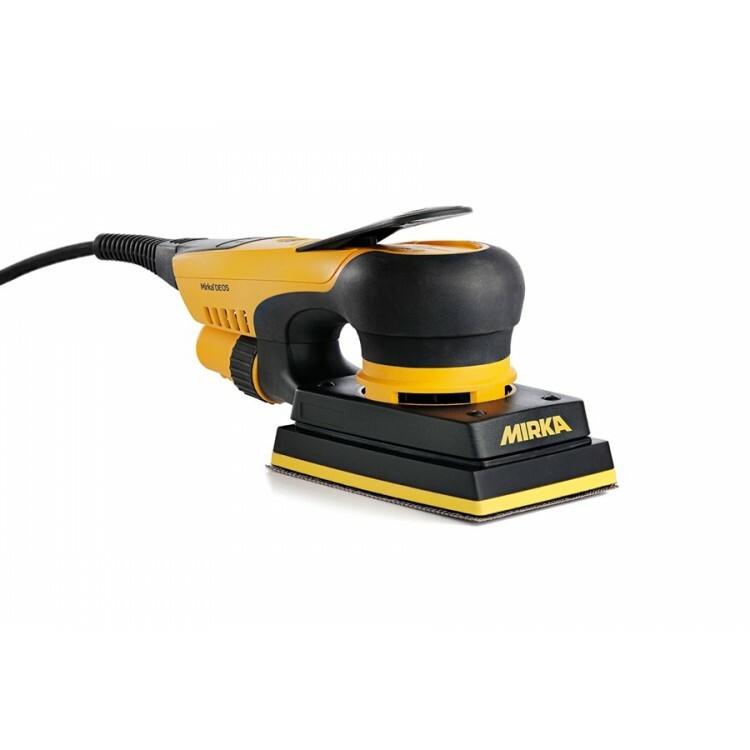 This powerful and compact direct electric orbital sander, Mirka® DEOS 353CV, is the newest member in the Mirka electric sander family. At only 10 cm high, the tool’s compact and very low profile gives a high maneuverability and helps deliver a precise and efficient sanding performance. This small and light sander is naturally equipped with a brushless motor. The optimized ergonomics enable a comfortable grip. The machine has an easy to operate lever to control motor speed. It possesses also a separate on/off switch for easy and safe handling. Mirka® DEOS features an integrated vibration sensor and Bluetooth low energy technology. The vibration sensor makes it possible to view the current vibration level through the myMirka app. An in-app purchase allows the follow-up of the daily vibration exposure. 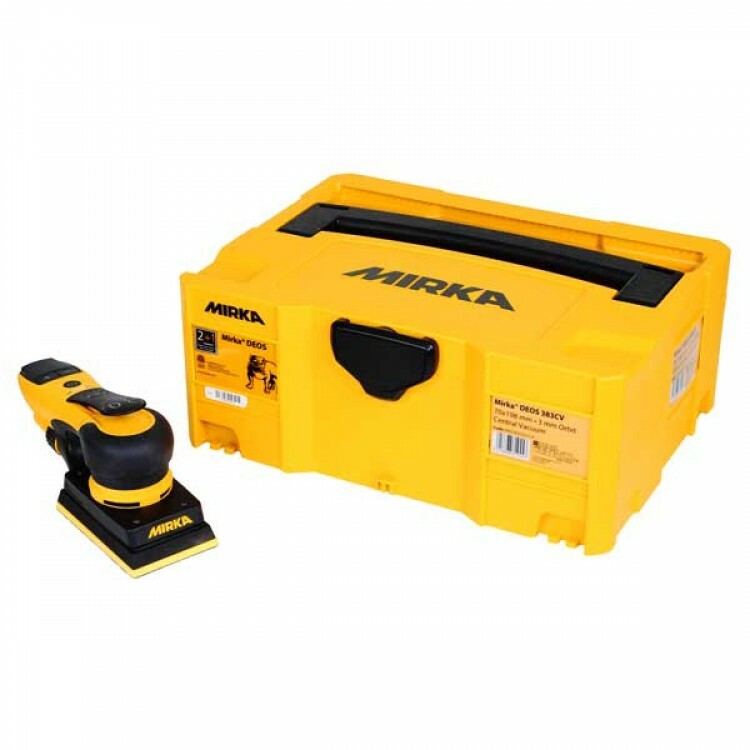 The low profile and small size make Mirka® DEOS 353CV ideal for sanding of profiles and hard-to-reach areas. In combination with Mirka´s net abrasives the tool offers fast, efficient and dust-free sanding performance.